Mucuna pruriens, a member of the legume family, is a climbing plant that grows up to 30 ft. in length. Mucuna pruriens forms compound leaves that grow 4-10'' long and is composed of three leaflets. 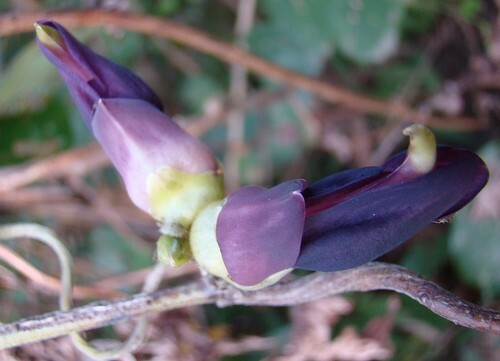 The pods of the Mucuna pruriens contain 2-5 per cluster and grow 2-3 inches long. Each pod contains 3-6 large black seeds. The pods have barbed hairs, also called trichomes, that cause an intense stinging irritation to the skin. It is a very prolific and hardy plant in the South. The Mucuna plant has many traditional and medicinal usage including treating abdominal pain, cholera, diabetes, infertility, Parkinson’s disease, scorpion bites, snakebites, and toothache. Because of the large amount of Levo-dopa in the seed it is used for treating Parkinson's disease. It has been used as a food crop for grazing animals as well as an alternative food source. Our Mucuna was harvested in South Africa and is of great quality. To sprout the beans nick and soak overnight and plant in well draining soil.